One of my new favorite people? Most definitely celebrity manicurist Beth Fricke. This vivacious, spunky gal has manicured the hands of some of the biggest people in Hollywood -- Mariska Hargitay, Drew Barrymore, Heidi Klum and Lindsay Lohan among them -- and tons of magazines like Italian Vogue and Maxim. Not to mention she's chock full of amazing knowledge about all things nails! Read on to discover her favorite nail product of all time, the OPI colors she can't live without (she moonlights as an OPI Celebrity Manicurist) and so much more. How did you first get involved in the nail business? I was producing commercials and music videos for a few years, and then we lost our director to features. I went and got a day job at a spa for the discount! Now it’s all natural nails, back in the day it was all acrylics. It was great, I did it for a long time, but the natural nail shift is really a nice treat. You can get a little medical, and specialize in biters and pickers, because I get it -- we have things we do to ourselves because we can’t help it, but we need to know who can actually fix that up for you. Did you always have an interest in nails and beauty? Really did not want to do it, I was not interested! I was 18, I was a punk kid! Then I got in there and started doing acrylics. But then it was very creative. How did you get involved with OPI? I’ve used OPI since the very beginning. It’s always been my favorite. Essie could just never quite come to it. Do you have favorite colors or collections from OPI? It just depends on what you’re doing in the situation. For the sheers, I’ve really been staying away from pinks for a couple of years now. But I’ve been trying to lean more towards nudes. Alone at Last, I absolutely love. Tickle My France-Y and You Don’t Know Jacques from the Paris collection. An Affair in Times Square -- I paid $50 for three bottles because I used it from October to February on every single shoot! I was running out and it was discontinued! I was making colors out of that one, lightening it up, darkening it up, making it grey. I'm Not Really a Waitress is so big because it can go on any skin tone. Decades of Shades from the spring collection -- disgusting in the bottle, but once you got the second coat on, it was the perfect brown, not a speck of red in it, it was so nice. The reds, the burgundys, the plums -- the Spain collection has half a dozen fuchsias that were fabulous. You have a pretty impressive celebrity clientele! Any favorite stories? The best energy ones are the ones that always stand out to me. The ones who have crappy nails, and rock ‘em and put ‘em in every shot anyway. Like Helen Mirren. She is so funny! We put a gold on her, and she rocked ‘em and they looked amazing! When I get to do extensions. It’s rare that you get to do anything crazy with a celebrity. I had Heidi [Klum] rock ‘em in You Don’t Know Jacques for two days on German Vogue. They were long! I did Liv Tyler with red, and I used the clear tip, so when they turn the hand around, you’re still seeing the color! She had a party to go to that night, and [at the beginning of the day she said], “You’re going to take these off at the end of the day, right?” That’s how it always starts! Then she was like, “Oh no, I’m wearing them to the party!” The funny thing about really long nails is that you can’t touch anything, so they have to be in every shot! Cate Blanchett is a riot. What is your biggest tip for nail biters? The most important thing is you have to take away everything they’re gonna bite and pick at, or they will. Cuticle oil is my huge thing, I’m all about the oil. If you get all the dead skin off so they oil actually does them some good. OPI Avoplex is my favorite. The best thing about cuticle oil is the brush or the dropper. You can use olive oil if you’re not ready to commit to a purchase -- find something with a brush or a dropper. Avoplex is the closest to our natural oils, so it has a deeper penetration ability. Do you prefer doing a creative nail or just natural? All of it’s fabulous! 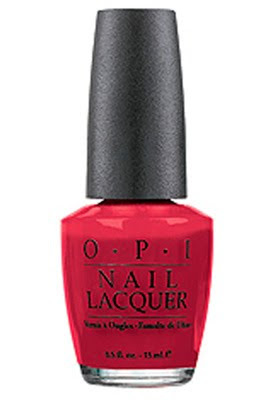 When they first started bringing me Minx, they were bringing me reds and pinks, and I said, “I love my OPI! Why don’t you bring me things that I can’t do?” Metals and cobwebs and lace, you can’t do that [easily]. How do you keep a manicure from chipping? Base coat and top coat are key. I think people get burned out on using base coats because they’re getting thick base coats, not realizing they should be thin and sticky. You always have to make sure you seal the tips. A good way to keep the manicure fresh is to put another layer of top coat on every day or two. It’s so much better to do two thin coats than one thick coat. If you do two thin coats, you don’t even have to wait between. By the time you’re doing it on yourself, you’re kind of good to move on! How often do you think someone should get a manicure? I think manicures are really just personal preference. I’ve had a lot of clients that I’ve told, I’m okay seeing you once or twice a year, because you’re in good shape and you don’t need it. Some people just don’t need it. It’s so much better to do nothing than to do the wrong thing. I’m so frustrated with chop shops and everybody’s love of them. Why? Pedicures should be every four to five weeks. You should not be getting a pedicure more than once a month. If you are, there’s some other problem -- either you’re not doing any maintenance at home or you’re paying for the cheap one and having to redo it. What is your favorite nail shape? My current retaliation is square nails. I hate them. I like a natural shape. A shape that is even. I tend to like a little more rounded because it’s pretty. It just looks more natural. Square is laziness. You can do a square nail and not even look at it. Cuticles need to be trimmed. What are your favorite products outside the nail realm? Murad! I pay a lot of money for it! Love Murad, anything with Murad Vitamin C is my favorite. What are the trends you see coming up for fall? I think the grey trend is going to hold on for awhile. It’s just too fabulous. I would never wear a yellow but now I have five to choose from! It’s just too much fun! I’m doing a lot of the 50’s housewife type of stuff. I just had one in Italian Vogue and I have one coming out in Maxim -- the 50’s housewife gone wrong! I think we’ve been so frumpy and casual for so long that this is that retaliation, that whole 50’s elegance coming back. Also a lot of 80’s coming back! 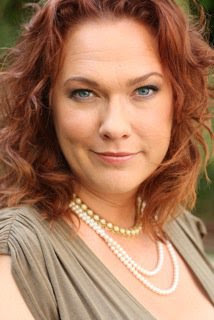 Become a fan of Beth Fricke on Facebook here.